Can you turn a hotel stay into an unforgettable experience? Do you exceed your guest's expectations? And do you combine excellent service, sustainability and profit maximization? The hospitality sector is all about anticipating the guest's expectations and wishes. If you want to make a difference, this programme is perfect for you! At Breda University of Applied Sciences you can enrol for the English-taught bachelor’s programme Hotel Management. In 3 or 4 years’ time, you will become a professional in the hospitality industry. After your graduation you will be ready to go the extra mile with your professionalism, creativity and innovative ideas. Why study Hotel Management at Breda University of Applied Sciences? The programme was voted as the best in 2015 by Elsevier (a renowned Dutch magazine) and No. 1 in its category in the Nationale Studenten Enquête 2016 (Student Survey). Please, take a look at the results. According to Keuzegids HBO 2015 (Dutch) Breda University of Applied Sciences is the best large university of applied sciences in the Netherlands. 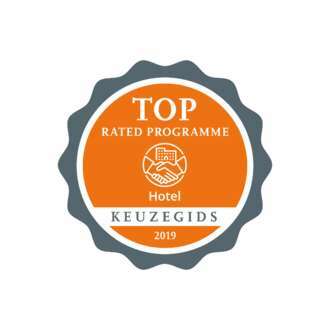 Keuzegids HBO 2016 also gave the International Hotel Management programme the qualification top rated programme, with a score of 8.2 out of 10. The Dutch-Flemish Accreditation Organisation (NVAO) has awarded Hotel Management furthermore with the distinctive feature of ‘Internationalisation’. Hotel Management has received international accreditation by the United Nations World Tourism Organization.